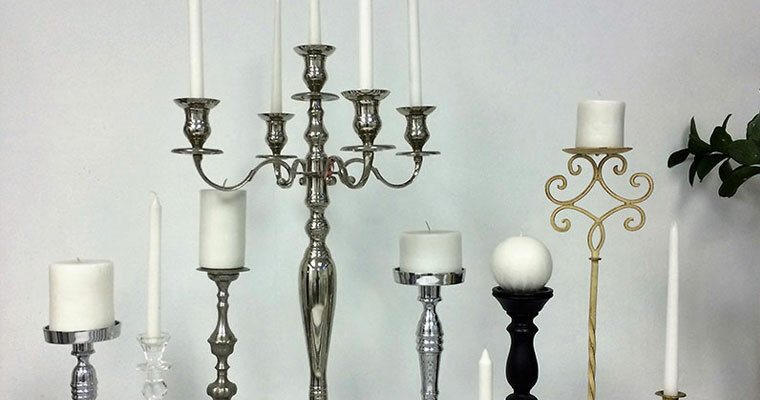 Candles are a cost effective way of bringing a fairy-tale atmosphere to your event. 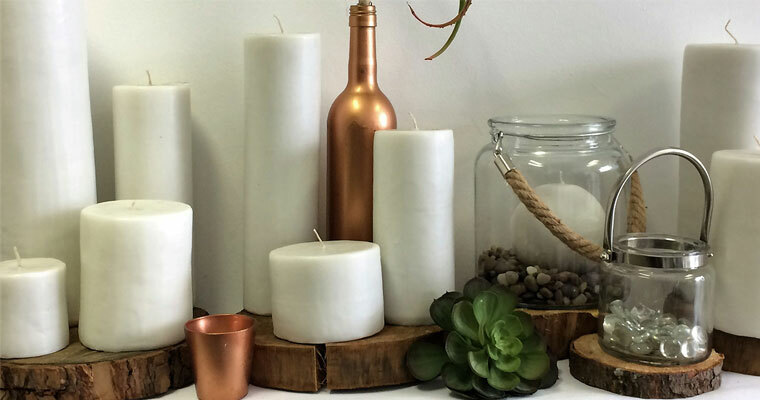 We make all our candles in house and as they are recycled, they are much more cost effective than purchasing candles that burn away. 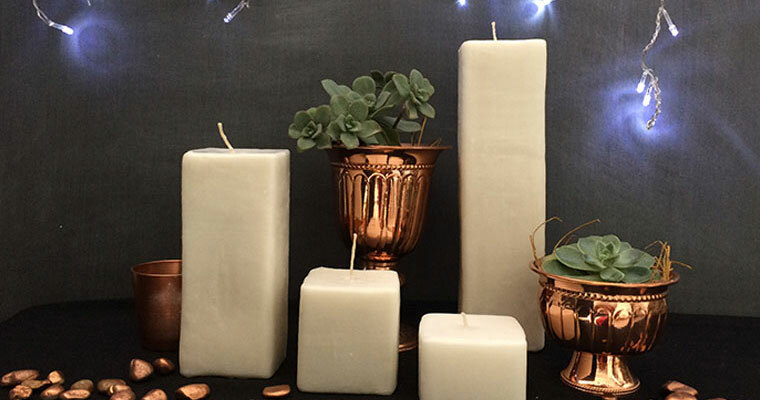 Our pillar candles come in various heights and are of two widths; 7.5cm and 11cm. 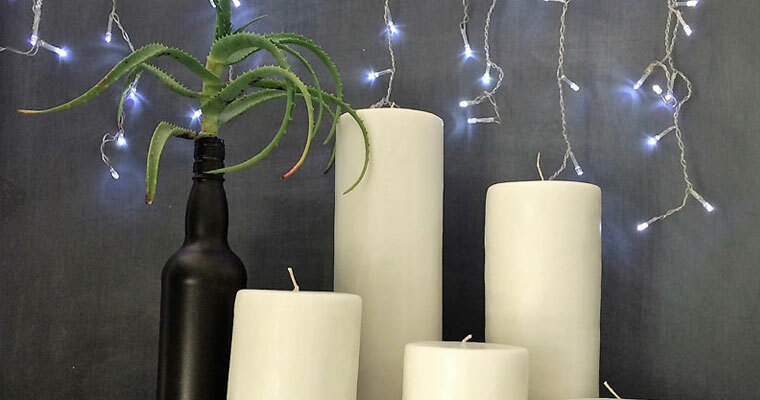 We also make floating candles. 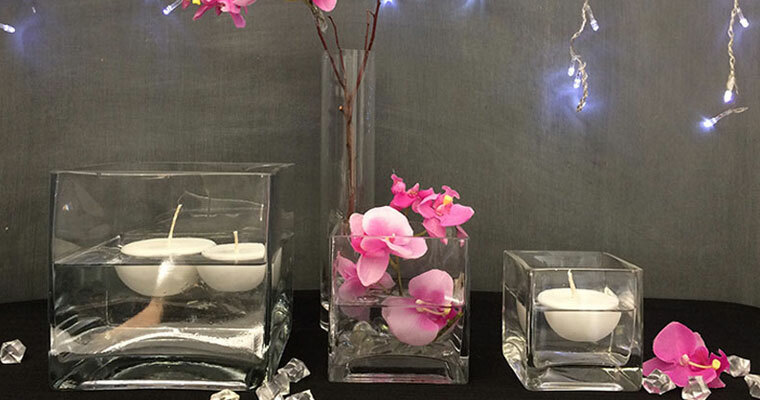 We have a beautiful selection of tea-light votives and candle sticks which are a must to bring atmosphere to your celebration. Our fairy lights come in 4 meter, 10 meter and 20 meter lengths. Uplighters are also available. If you require any of our services please do not hesitate to contact us to speak through your needs or arrange a consultation.